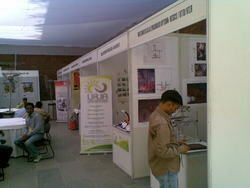 We are a leading Service Provider of exhibition frame and exhibition booths from New Delhi, India. 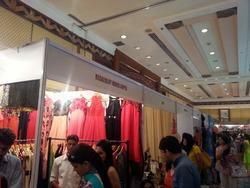 We offer best Exhibition Booths for the exhibitions and events. These booths offer a versatile range of components which can be re-made in various configurations dependent upon the size of the space available. Depending on your requirements for a particular show, our skilled professionals designs the best modular stands to give the best look for your exhibition.